Posters of Osama Bin Laden at a road-side book stall in Pakistan. Two new books, Osama Bin Laden by Michael Scheuer and The Longest War: The Enduring Conflict Between America and Al-Qaeda by Peter Bergen, substantially expand our understanding of Osama Bin Laden, his followers, and his driving rage at American support for Israel. Scheuer was the CIA’s first point man on Bin Laden in the 1990s, and his new biography is based on years of following the Saudi terror mastermind in and outside of the agency. His Bin Laden is a man motivated not by hatred of American values or obsessed with our freedoms, sexual or political, but by deep anger at American policies. It is not about whether we vote or what we wear but about what Bin Laden believes we have done to the Islamic world, the ummah, over the last century. The Crusaders, as Bin Laden calls us, have pillaged the ummah for decades. Above all the other “crimes” Bin Laden rails against is American support for the creation of Israel and for supporting it ever since. 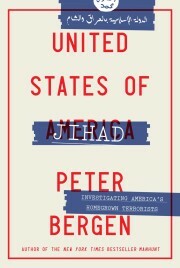 For al-Qaida Israel is the root of all evil, Bergen’s book reports. The Jewish state is the Crusader’s key ally in suppressing the ummah and is used to keep the Muslim world divided and weak. It literally separates the ummah into African and Asian parts. It prevents the Muslim world from developing nuclear weapons by bombing its reactors in Iraq, Syria, and maybe Iran to protect its own monopoly of nuclear weapons in the region. The United States provides it with $3 billion in aid each year, the latest high-performance weapons, and diplomatic protection. The answer to the Crusader-Zionist alliance must be jihad until America is driven out of the ummah for good, just as the Soviets were driven out of Afghanistan. Then the traitorous regimes in Cairo, Riyadh, and elsewhere will be overthrown, and Israel will be driven into the sea and destroyed forever. Thus Bin Laden’s deputy Ayman al-Zawahiri started his career in terror with a plot to assassinate Anwar Sadat for making peace with Israel, Bergen notes. When the two declared war on America in 1998, they set as their top goal to “liberate” Jerusalem from “the petty Jewish state.” The Sept. 11 Commission concluded the mastermind of the attacks, Khaled Shaykh Muhammad, was motivated by “his violent disagreement with U.S. foreign policy favoring Israel.” In 2008, Bin Laden made it crystal clear “the Palestine issue is my central issue. It is why the incidents of September 11th took place.” After the failed 2009 Christmas attack on a Detroit-bound plane, Bin Laden said more attacks would come until America stops supporting Israel. Scheuer and Bergen agree that the intellectual mastermind who shaped Bin Laden and al-Qaida’s worldview more than any other was the Palestinian preacher Abdullah Azzam. He was born near the West Bank town of Jenin, and his family fled to the Jordanian town of Zarqa after the 1967 war. Recruited into the Muslim Brotherhood and briefly a fighter with Fatah, Azzam studied in Damascus, Amman, and then at the prestigious Al Azhar University in Cairo. His religious credentials were impeccable. At the start of the war in Afghanistan in 1980 he was teaching in Jidda, in Saudi Arabia, but, outraged by the Soviet invasion, he moved to Peshawar, Pakistan, and began assisting the mujahedin. Azzam became increasingly involved in the cause of the Afghan mujahedin, spending time in their camps along the Pakistani border and writing pamphlets urging Muslims from all over the Islamic world, especially his fellow Arabs, to join the jihad. In 1984, he wrote a book crucial to the expansion of jihad, The Defense of Muslim Territories, in which he argued that every Muslim had an obligation to join the Afghan struggle. Afghanistan was the place to defeat the unbeliever and enemies of Islam, Azzam emphasized, not only because the invaders posed the greatest threat to the ummah but also because the pay-off in defeating a superpower would be vastly increased stature for Muslims throughout the world. Azzam even visited the United States in the 1980s to raise money for the cause. His book became as important to the Afghan jihad as Thomas Paine’s Common Sense was to the American Revolution. Azzam followed it with dozens of articles and other books urging support for the jihad. Soon he broke with the Muslim Brotherhood, declaring it too timid, and began spending all his time in Peshawar with the mujahedin or traveling around the ummah urging Muslims to join the jihad in South Asia. To assist jihadis arriving from all points of the ummah, Azzam created the Maktab al Khadamat, or Service Bureau, in Peshawar, to provide them with housing and food. The cofounder of the Service Bureau was Osama Bin Laden, a fabulously rich young Saudi whom Azzam had met in Jidda. Bin Laden had come to Pakistan to join the jihad and brought with him financial support for an army of jihadi volunteers. Initially Azzam and Bin Laden set up hostels for jihadists in Peshawar, then they graduated to training camps where Arabs and others could “learn jihad” and go off to fight the Soviets in Afghanistan. Azzam has rightly been called the father of the modern global jihad by a former chief of the Mossad. He was assassinated in 1989 in Peshawar just as the Soviets were leaving Afghanistan in defeat. By then Bin Laden was launched on his own career in jihad. Both authors credit the George W. Bush Administration’s decision to invade Iraq with saving al-Qaida. Scheuer calls it “a godsend” for Bin Laden not just because it diverted American attention and resources away from finishing the job in south Asia but also because it validated Bin Laden’s claim to be “an acute analyst of American intentions.” Osama had been saying for years that America intended to invade the Arab Middle East to topple its governments, impose puppets, and force them to accept Israeli dominance. On February 11, 2003, Bin Laden sent a letter to the Iraqi people, broadcast via Al Jazeera, warning them to prepare for the “Crusaders war to occupy one of Islam’s former capitals, loot Muslim riches, and install a stooge regime to follow its masters in Washington and Tel Aviv to pave the way for the establishment of Greater Israel.” He advised the Iraqi nation to prepare for a long struggle against the Crusaders and in particular to engage in “urban and street warfare” and to “emphasize the importance of martyrdom operations which have inflicted unprecedented harm on America and Israel.” In Iraq all his predictions seemed to come true. Al-Qaida also found a new hero in Iraq: another Jordanian citizen, also from Zarqa, named Ahmad Fadil al-Khalayilah, better known as Abu Musaib Zarqawi. Zarqa is a tough, mean, and small working-class city close to Amman. It is a city of small industries and manufacturing with little charm. There is a large Palestinian population in the city and a very large Palestinian refugee camp nearby created after the 1967 war when tens of thousands of West Bank Palestinians fled the Israeli occupation of their homes into Jordan. The camp is dirty, without adequate sewage or electricity. It is a place where extremism and fanaticism grow. Zarqawi got in trouble with the law early in life. As with many other inmates in jail, Zarqawi became a more clever and dangerous criminal. He also found Islam and became a convert to extremist jihadism. He spent several years in prison before being released in a general amnesty in 1988. Upon his release, he went to Afghanistan to join the mujahedin in 1989. He arrived too late to fight the Soviets and instead witnessed the struggle between the various mujahedin factions for control of Kabul. Zarqawi was a junior partner in an al-Qaida plot in December 2000 to blow up the Radisson Hotel in Amman, and he built his own jihadist training camp in Herat in Afghanistan, where he operated independently of al-Qaida but as a close complement to it. In 2002, he created an infrastructure in Iraq to prepare for the Americans. His network carried out its first operation by killing a USAID officer, Laurence Foley, in Amman on October 28, 2002. As Bergen relates, Zarqawi then took Iraq to the brink of civil war. He sent dozens of suicide bombers to kill Americans and Iraqis alike and a couple to blow up the Radisson during a wedding celebration in Amman as well. Even the al-Qaida core hiding in Pakistan found him too violent, and his excesses ultimately did in the Iraqi al-Qaida as Iraqis rejected its wanton cruelty. But it kept America bogged down in Iraq long enough for the old core of al-Qaida to regenerate in Pakistan. These are accounts of a war in progress, and so there is much we still don’t know about both Bin Laden and his organization. We know far too little, for example, about the dynamics of the relationship between Bin Laden and the self-proclaimed Commander of the Faithful, Mullah Omar, to whom Bin Laden swears allegiance. Neither Scheuer nor Bergen speculate on what connections Bin Laden had at that time with the Pakistani Inter-Services Intelligence directorate, which ran the mujahedin war. It is impossible to believe the ISI was not closely monitoring the rich Saudi’s activities in their back yard. This is an area that still cries out for more research and analysis by al-Qaida watchers. Nonetheless, these two books complement each other well and help us better understand our enemy, which is the first key to victory. Bruce Riedel is a senior fellow in the Saban Center for Middle East Policy at the Brookings Institution. He has advised four presidents on the National Security Council staff in the White House. His latest book is Deadly Embrace: Pakistan, America, and the Future of Global Jihad.